Fixed-rate mortgages last week saw their biggest one-week drop in a decade, according to Freddie Mac’s weekly rate survey. Thirty-year fixed-rate mortgages averaged 4.06 percent, down from 4.28 percent last week, and 15-year fixed-rate mortgages averaged 3.57 percent, down from 3.71 percent. Five-year adjustable-rate mortgages averaged 3.75 percent, down from 3.84 percent last week. Last year at this time, 30-year mortgages averaged 4.40 percent, 15-year mortgages averaged 3.90 percent, and five-year ARMs averaged 3.66 percent. Two out of three people say now is a good time to buy a home, and according to a survey by the National Association of Realtors conducted during the first quarter of 2019, and confidence in the U.S. economy remains strong. The NAR’s quarterly Housing Opportunities and Market Experience survey found that 65 percent of respondent believe now is a good time to buy a home, with 37 percent saying they strongly believe now is a good time to buy — up from 34 percent in the last quarter of 2018 — and 28 percent expressing moderate confident. The survey also found that 53 percent of those polled said that the economy is improving, down from 59 percent at the end of last year. Optimism in 2019 is the greatest among those who earn $100,000 or more and those who live in rural areas. Fifty percent of Generation X respondents said the economy is improving, while 42 percent of urban area residents reported the same. Mortgage affordability has also been more favorable for homebuyers than in recent quarters, Yun said. The Wall Street Journal reports that the Federal Housing Administration is tightening its rules, amid a growing concern that mortgage lenders are increasingly making loans to borrowers who can’t repay them, leading to a spike in defaults. 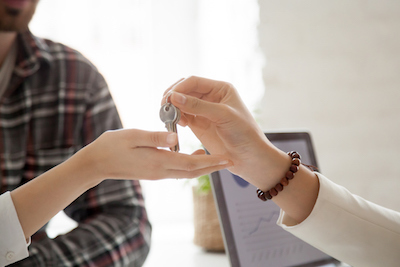 The FHA, which insures mortgages for first-time buyers, told lenders in March that it would begin examining certain loans more closely, likely identifying more of them as high risk. Mortgages to borrowers with low credit scores and high loan payments relative to their incomes will now go through a more rigorous underwriting process, the agency said. The Journal report noted that the FHA’s decision to tighten underwriting standards could mean fewer first-time home buyers are able to get mortgages.